KC Wilson Construction is a Naples Florida based general contractor specializing in pool, patio and exterior renovations. We’ve enjoyed a successful relationship with this client for several years, having worked on a few other web design and logo design projects with them in the past for their other companies, notably Jeff Wilson Pool Service, and Pool Tile Restoration. 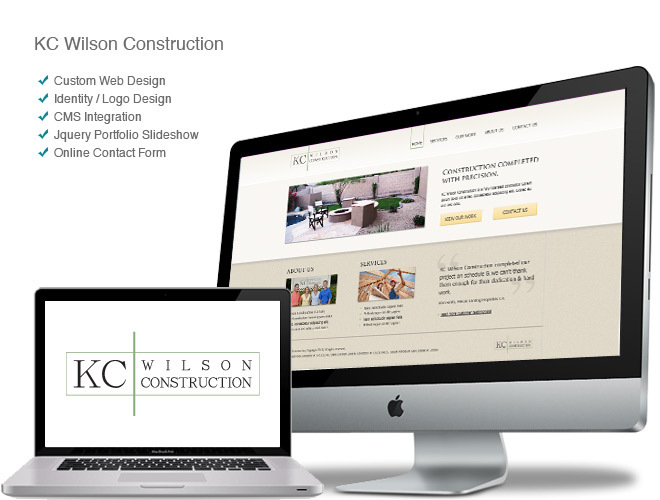 We recently completed both the identity and website design for KC Wilson Construction. We represented the company’s professionalism, organization and attention to detail in all aspects of their marketing. Visit the new KC Wilson Construction website.